In the age of 15 he goes through his first music steps playing guitar under the transparent excuse to fool girls with his amazing anti-back and harsh singing. He founded his first band Kondori in 1974 as a beginning banjo player with no skills. Later in 1978 he joined Poutnici - Praha (afterthat Blanket) where he met Petr Kus the founder of the band Famy. In september 1985, he became a member of the band Oaza from Podebrady. He brought with him 3 other musicians from Prague and they created the most famous line-up of that band playing on many concerts, festivals and competitions. They also toured in the United Kingdom in july 1989. At the same time, from 1986 to 1989, he also collaborates with the band CHBQ from Pilsen. He left Oaza in 1989 and then he founded his project called Brigada in 1990. They performed also in the Rattlesnake Salon in Munchen and they recorded the LP Fireball. He discovered 14 year old Zbynek Bures and hired him as a banjo player. The band finished after Zbynek and mandolin player Gerry Kaiser left the band in 1996 and they found succesful band Relief. Afterthat, Petr has a break and he is concentrating on his family. 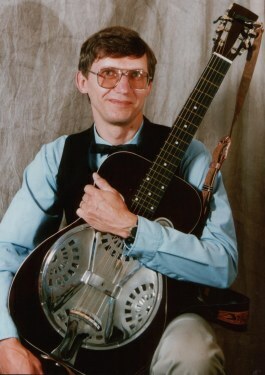 In 1999, he was honoured as the member of the Hall of Fame of the oldest European bluegrass festival Banjo Jamboree in Kopidlno, currently lead in Caslav. When was offered to join Brzdari in 2003, he is happy to leave his premature retirement.